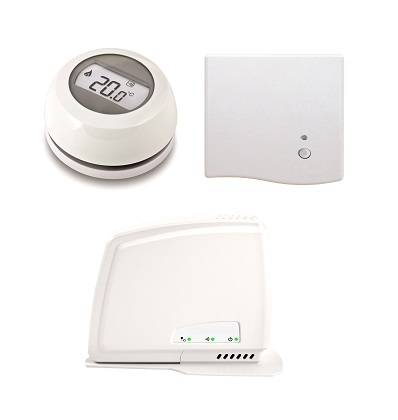 Stylish, wall mounted, single zone "smart control" thermostat with simple rotating dial and large back-lit dispay, compatable with downloadable remote control App. Boiler Plus Compliant, 0.5°C accuracy, CE,WEEE & RoHS Compliant. When connected to Wi-fi it allows remote operation and scheduling via the Honeywell TCC App for smartphones or tablets. Installer mode, allowing setting of maximum and minimum set temperatures and default off setpoint.